Just imagine your patio with these gorgeous frilled petals to grace them this autumn…our collection of 6 potted Frizzle Sizzle pansy plants is all about enjoying bold colours this winter. 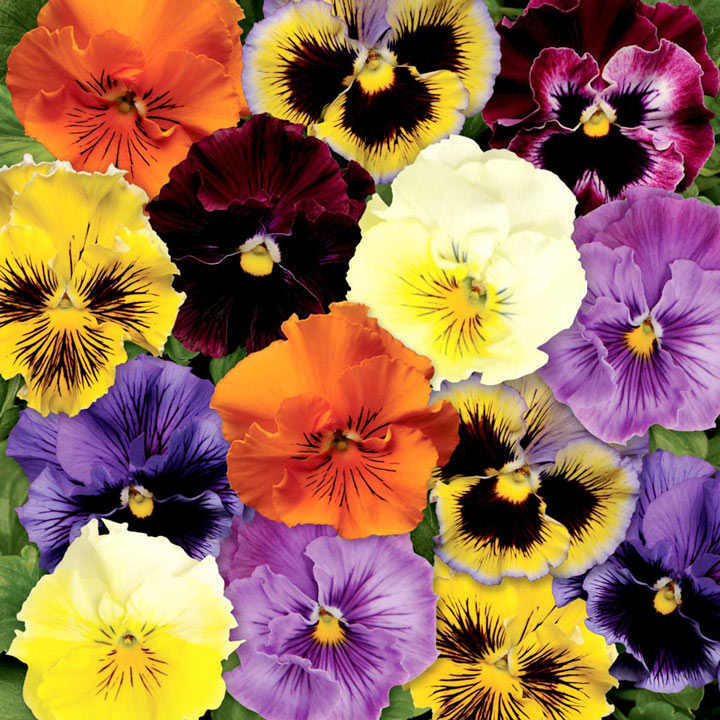 This colourful mix of pansies combines some of our favourite shades, and those frilled petals set these flowers apart from more traditional pansy varieties. Whether you’re after something different or you’re keen to inject some colour into your garden this autumn, these fuss-free potted plants are a must for your autumn / winter garden.